Unless you have only been listening to mainstream media you have no doubt heard about the escalating situation involving the United States and Russia. While the media has been focusing in upon Hillary Clinton and Donald Trump tensions have been rising between to world superpowers. We need to first remind ourselves about the total sovereignty of God over all things and that all things work together for good for those who love God (Romans 8:28). There is absolutely no cause for fear and alarm. However, it’s important, as Christians, that we begin a discussion about Just War Theory. What is a consistently Christian way to speak about foreign intervention? Does the Bible have anything to say about this? Have Christians addressed this before and was it ever applied in history? We also talk about some of the recent news regarding the escalating tension between Russia and the United States. 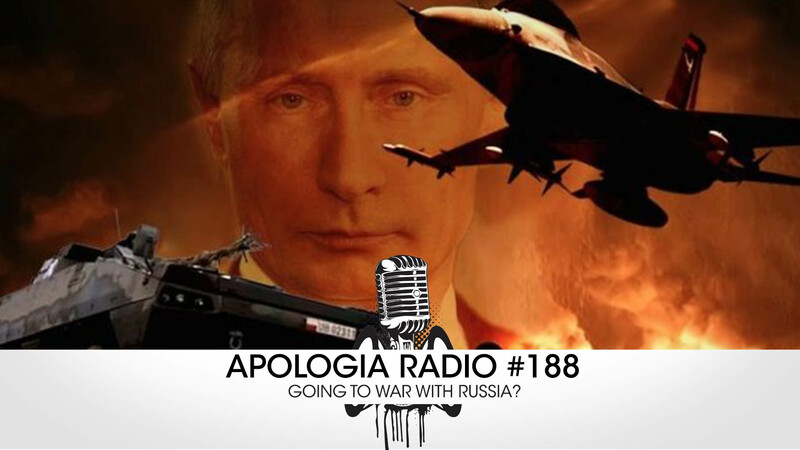 Listen-in and share this informative and important episode of Apologia Radio on Just War Theory! If you want more from Apologia then sign-up for All Access at http://apologiaradio.com/all-access-signup/. You can learn about the Christian faith and how to defend it, you get all of our TV shows, and every single After Show. You will also be participating with Apologia Church in our defense and proclamation of the Gospel around the world!